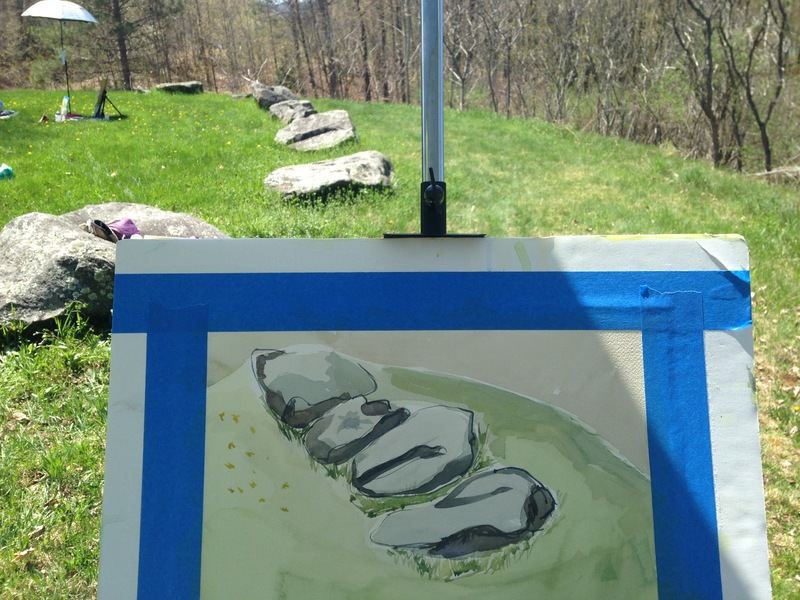 The summer comes alive for artists when the En Plein Air group reconvenes for the season. 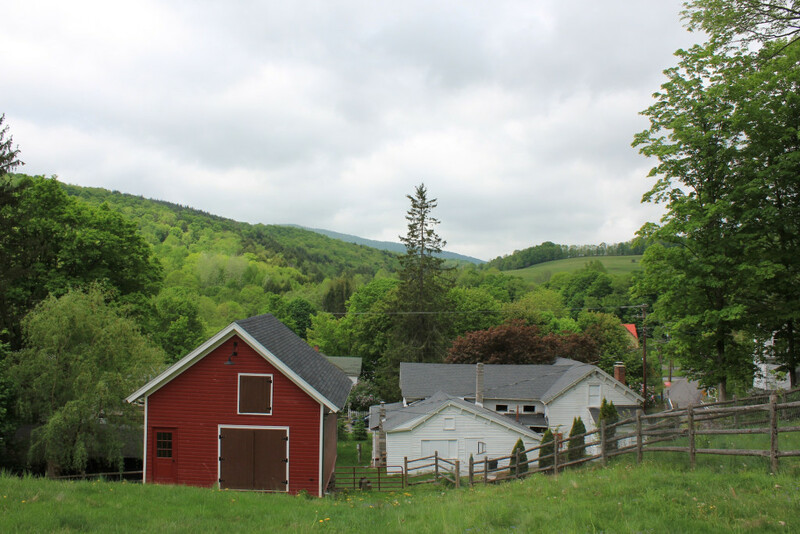 Gracious homeowners kindly let our group gather every week in some of the most picturesque spots across the mountains and it’s difficult not to be stunned by the extraordinary beauty of the countryside. This year, May 7th was the group’s earliest meeting on record because of the extraordinary high temperatures for the day, but the landscape was still bare and it seemed like we were able to watch the leaves pop before our eyes. The sun had become so strong by noon on May 7th, however, that whomever didn’t have an umbrella had to move to the shade. Taking part of the day out to paint really clears the mind. To focus closely and solely on the landscape for a few hours is much-needed therapy after the long, arduous winter. All worries dissipate into the air with the drying watercolour and if the homeowner is home, we make a new friend. Today, we had a gorgeous view of the mountains. This entry was posted in The Arts and tagged Art, Catskills, Country Living, En Plein Air, Forest, Photography, Spring, Summer, Trees, Watercolor on May 19, 2015 by JNUrbanski.